A third series of the ITV crime drama Unforgotten by Chris Lang has returned to our small screens with Neil Morrissey, Alex Jennings, Kevin McNally and James Fleet playing four friends who are all suspects. 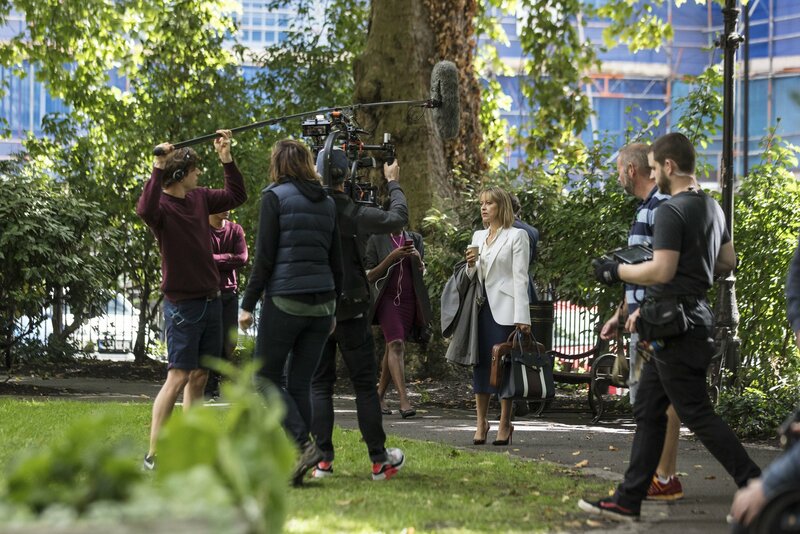 Location filming included Camden and Lewisham as the series stars Nicola Walker and Sanjeev Bhaskar try to solve the murder of a teenage girl. FilmFixer manages the film office service for these London boroughs. FilmFixer CEO Karen Everett explains, “One of the characters is living in a home on Hartland Road in Camden, where we see Nicola Walker and Sanjeev Bhaskar discussing the case. “The characters get together in the The Enterprise pub on Red Lion Street in Camden – the same location that doubled as a French bar for Brad Pitt in War Machine that was released last year. “Kozzy Café, also on Red Lion Street was used too, along with a restaurant on Great Queen Street and nearby Holborn tube station. “The Pepys estate in Lewisham also lent itself for location filming. The Eddystone tower on the estate played the home of a young internet blogger whose online comments have attracted the attention of police. “About forty crew and cast filmed the scenes there in April this year, where uniformed police lead the young woman from the front entrance to the police cars parked outside. “We are very grateful to the production for making kind donations to the tenants and residents association at the estate, as well as to a local residents group near Hartland Road, after that location filming. True to its name, The Bromley Boys, opening on June 1st, was filmed in the borough by a cast and crew also largely from the area. The coming of age love story is set during the real Bromley Football Club’s worst season, when it was the worst team in “the world”, in the late 1960s. It’s a combination of fact and embellishment based on the novel by the real Dave Roberts. It stars Alan Davies and Martine McCutcheon as Dave’s parents, and Brenock O’Connor as 15-year-old Dave. Take a look at the trailer and the film’s website. Gormless teenager Dave Roberts went to every match wearing his Bromley FC scarf, taking along a pair of football boots, in the vain hope that one day they might need to sub him in. Director TJ Herbert, a Bromley resident, came across the book locally. During filming he managed to track down some of the real people who are embellished a little in the story. He said, “The main characters: Dave, Charlie, Peter, Roy, Derek and Alan Stoney Stonebridge in the movie are caricatures and we were fortunate to have the backing of those real people to be on set almost every day to watch and be a part of the action. FilmFixer manages the film office service for Bromley Council. FilmFixer CEO Karen Everett says, “The production filmed around Bromley in October and November 2016. “The family home is in Poplar Avenue on the Crofton Heath Estate, described by the production as the quintessential British suburb, offering the perfect original family 1970s ambience. Among the scenes filmed there, one involves an actor on a garage roof, and there were various scenes of newspapers being delivered on a paper round. These were the biggest scenes involving 35 cast and crew. “After this filming the production made a generous donation to Crofton Heath. “Two scenes were filmed in Kelsey Park, where we see two characters walking along a path, with one pushing a bike, and sitting on a bench talking, overlooking the lake. The production made a donation to the residents group Friends of Kelsey Park. “A dialogue scene inside a car was shot along Rushmore Hill between Coolings Garden Centre and Pratt’s Bottom. 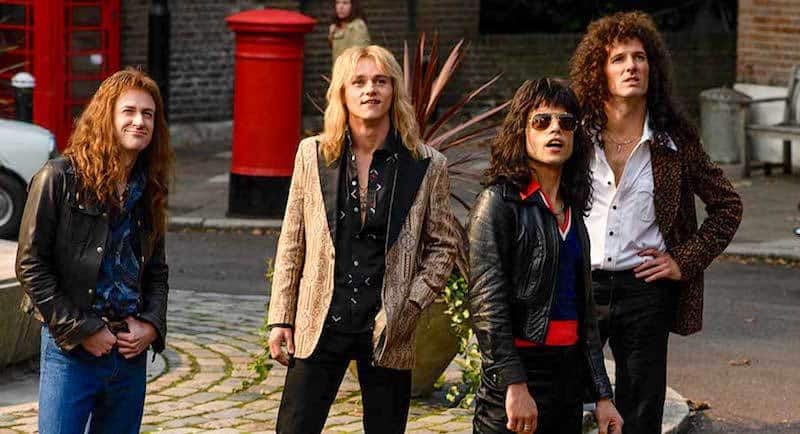 There’s more information about the local locations in the press pack on the film’s website, where director TJ Herbert adds, “It was very important to film locally within Bromley Borough. “We were very fortunate to use two local schools: Wickham Court School, West Wickham and Langley Park School for Girls, Beckenham. Dave’s boarding school. With its wood panelled classroom and headteacher’s office, the essence of a strict 1970s public education could be depicted. The film also stars Bromley local Ross Anderson, who plays footballer and David’s idol Alan Stonebridge. Ross, who grew up in Bickley, was quoted in the local paper saying: “Alan was a great character to play – he’s a great man who is so down-to-earth and I have actually had the fortune of meeting the real man himself. Opening in the Netherlands on April 26th, Orlando Bloom’s performance in Romans has won over critics at film festivals across the world. Orlando Bloom plays Malky, a construction worker raped by a priest as a child, who is currently demolishing a church. In the shadow of a large crucifix, each strike of the hammer rattles the nails in Jesus’s hands. These powerful scenes were filmed in Southwark, with Caroline Gardens chapel playing the interior and Nunhead Cemetery’s Anglican chapel as the exterior. The location manager on the production was Michael Panikkou. He says, “These locations came about because I was tasked with finding a chapel that we could show in various states of demolition. The Nunhead Cemetery shoot was over three days in November 2015, with Malky and his co-workers knocking down the old church, loading skips and removing the large crucifix. The intense scenes in Malky’s flat were performed in the Islington home of Michael Panikkou’s father. He explains, “We had looked at quite a few options for Malky’s flat but none of them was quite right. 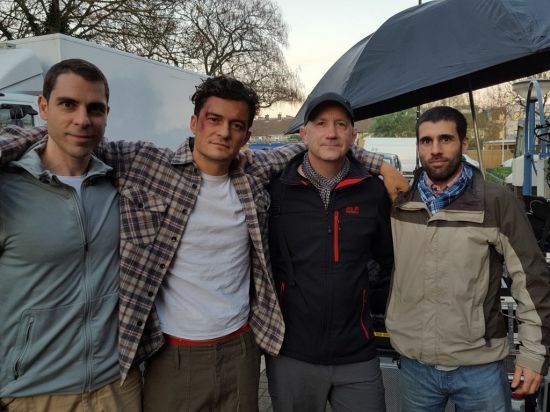 I was in a conversation with the directors, producer and Orlando Bloom when I showed them a photo of my Dad’s exterior as a reference, to see how they felt about that style and the feel of the place. “My Dad didn’t mind the filming at all, he was happy to help. So we re-located him to stay with nearby family for the shoot and paid for any out of pocket expenses. “He didn’t meet any of the stars of the film – he was relaxing with my niece and sister. But afterwards he did comment about the racy bedroom scenes performed in his flat, and he has joked about doing tours and selling some of the furniture that features in the movie as memorabilia. More moving scenes were shot in Lewisham around Telegraph Hill and Ladywell Fields. Orlando Bloom as Malky repeats the bible verse from Romans, addressing vengeance and forgiveness, which the film is named after. It’s also where Orlando Bloom and Janet Montgomery as his girlfriend Emma share a moment overlooking the dramatic cityscape. FilmFixer manages the film office service for Islington, Southwark and Lewisham councils. FilmFixer director Karen Everett says, “Along with the extremely moving scenes shot in Lewisham and Southwark, the flat in Islington works really well. Filming took place there over two days where the intensity of Malky’s inner life, as traumatised as he is, was explored. 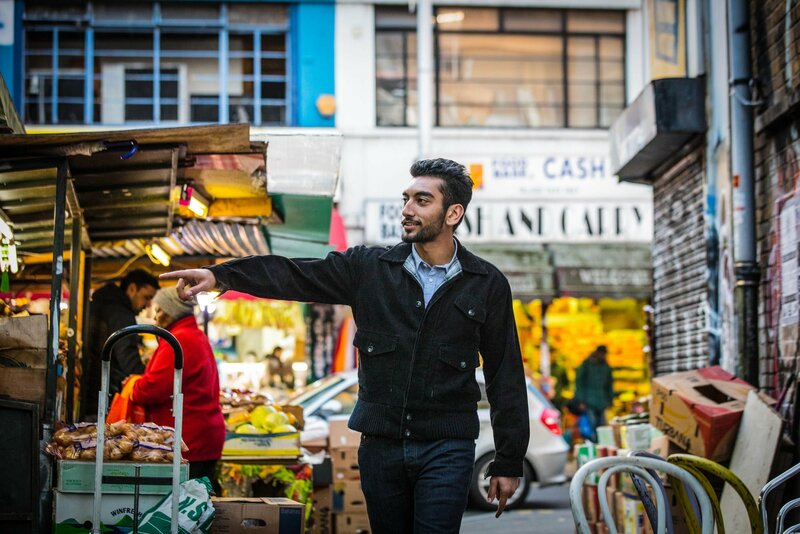 We all love Idris Elba and we love the fact that his new comedy series co-stars Kingston and Lewisham – with supporting roles from Sutton, Southwark and Lambeth. In the Long Run is set in 1980s London when the Easmons, originally from Sierra Leone, are living quietly on a Hackney housing estate, until the brother of Walter (Idris Elba) is sent to live with them. FilmFixer manages the film office service for many of the London boroughs where the series was shot. FilmFixer director Karen Everett explains, “The Cambridge Road Estate in Kingston hosted a great deal of filming over a week in late October early November, filming scenes extensively around the estate, along the stairwells and walkways and in front of key flats. “All the main characters were filmed around the estate, giving residents a bit of a thrill really, to see actors like Idris Elba and Bill Bailey at work outside their homes. “In the series, Walter’s best friend is Bagpipes, the Bill Bailey character, and both of them work at a local factory. Walter’s wife Evelyn sells makeup door to door on the estate. Their son Kobna and his best friend Dean hang about together playing football and trying to avoid local thugs. “Idris Elba has said it was inspired in part by his own upbringing, particularly given that his father worked in a Dagenham car factory for 30 years. 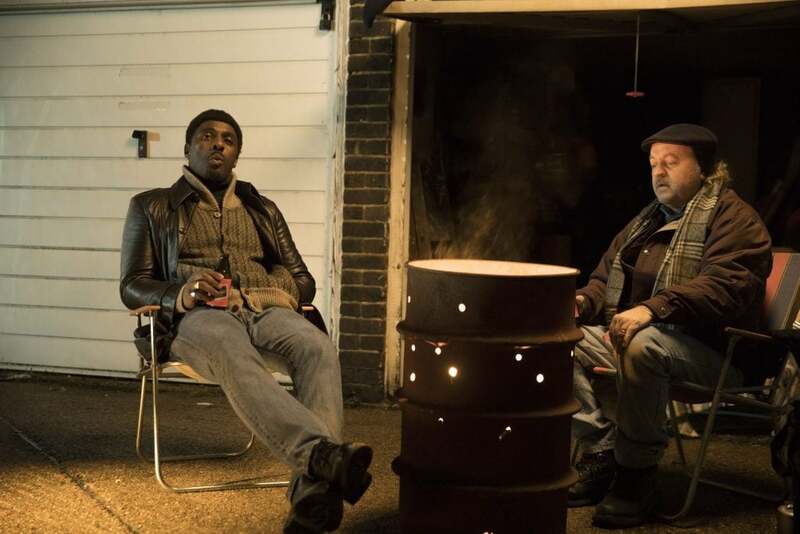 “The Czar Street Estate in Lewisham helped out with key scenes filmed in December last year, where we see a boy singing from a balcony, Idris Elba giving driving lessons and Idris Elba and Bill Bailey sitting outside a garage enjoying a beer. “The children walk through Folkestone Gardens in Lewisham talking about how they’ve never been allowed to go past the bridge on their own. “Also in Lewisham, we see the kids waiting outside the pub for their parents. These scenes were shot outside the Wheelshunters Club in Hornshay Street. “Walter’s dynamo brother Valentine takes up DJing, bringing a local pub to life. Those carnival style bar scenes were shot over a many days in the Peckham Liberal Club in Southwark. “The Times Square carpark in Sutton played the carpark at 1980s Heathrow. The stars were filmed walking through the shopping centre link tunnel and getting into their car. “And a funeral scene was shot at Lambeth Crematorium on Blackshaw Road. Idris Elba has explained that the biographical elements of the series are, “… a bit of a mish-mash, to be honest. It really is just a good look at the Eighties, which was when I was turning from boy to teenager. It’s looking at what London was like then, especially east London, where I came from. Take a look at the trailer. The show starts on Sky One on March 29th.